Getting a mold inspection is important. 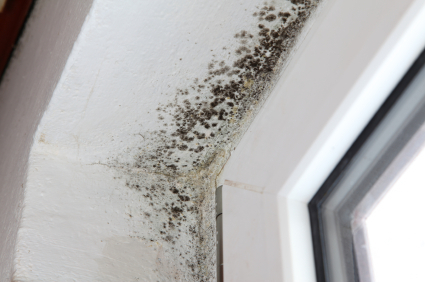 Mold can be responsible for structural damage as well as many ailments. Everyone reacts differently to mold. Some people may have no reaction or mild reactions while others may be more severe. Children and the elderly may be more likely to experience some of the more severe effects from elevated mold concentrations inside a building. Eastern Iowa Inspection Services offers professional mold inspections and mold air testing to our customers in Cedar Rapids, Iowa City, Coralville, Waterloo/Cedar Falls and all points in between. We are IAC2 certified in mold detection and inspection. A typical mold inspection will consist of a physical evaluation of the home or commercial property designed to identify apparent mold growth or conditions conducive to mold growth. This may be a limited or complete inspection depending on your needs. A minimum of three air samples are strongly recommended to determine if mold spore amplification exists within the building envelope of the property and/or within the HVAC system. If needed, mold surface samples are taken. 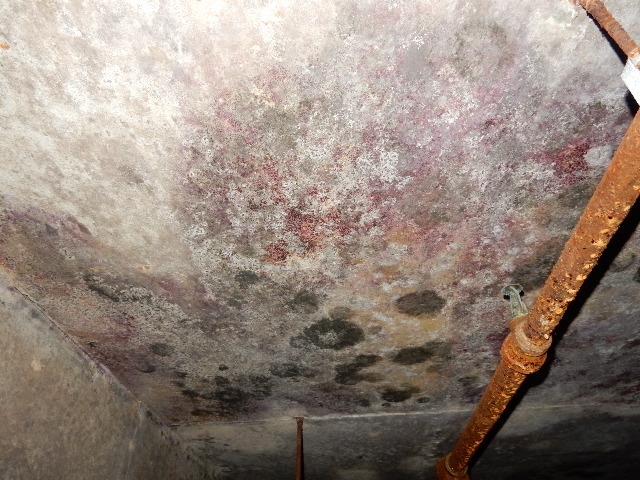 Not all that appears as mold is mold so surface sampling can be an ally in mold detection. A formal report will be provided and will accompany laboratory analysis of the the samples. In addition to the inspection, we offer information and informal guidance for the elimination of mold and conditions conducive to mold growth. We have the ability to create a mold remediation protocol to guide you through the remediation process should one be required or desired. You have a mold problem or have had a moisture intrusion incident and hired a contractor to rectify the problem. You’re a bank and have an R.E.O. that needs professional mold remediation. You’re a Realtor that has a listing that requires a contractor to remove mold in order to get the property ready for market. You definitely want an impartial third party to come in and verify that the mold remediation process was successful! That’s where we come in. For a nominal fee, we will come to your site and perform air and/or surface tests as necessary to determine the effectiveness of the remediation job. The lab results will be provided in a timely manner and proper interpretation given when they are received. I can tell you from experience that not all jobs go well the first time. I have been on many remediation jobs that required further investigation and/or destructive remediation performed after post job testing was conducted. If you’re not hiring an objective third party to test after remediation efforts, your are risking a lot. It is much easier to perform additional remediation efforts when the contractor is on site, instead of discovering a problem after they have supposedly completed the job and have moved on. Having an objective third party do the testing insures any bias or conflict of interest is removed from the process. This is key when you or your insurance company is paying big bucks for an outfit to perform mold remediation on your property. As a certified Mold inspector, home inspector, commercial property inspector and infrared thermographer I have the ability to perform a thermal imaging scan of your home or commercial property. Thermal imaging can identify areas that are lacking insulation and may detect unseen moisture intrusion which is a condition conducive to mold growth inside the structure. Thermal imaging is just one of the several tools available in order to perform the best non destructive mold inspection possible for you and your family. Thermal imaging is a good service to request if you feel cold air movement or if your home feels drafty in the winter. 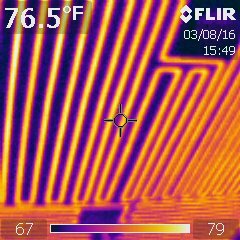 Thermal Imaging can pinpoint leaking windows and other areas of potential cold air intrusion. Many times insulation deficiencies may cause convection currents in the home which cause that drafty feeling. To learn more about Mold Inspections or Thermal Imaging call Mike at 319-310-6044 or visit the contact us page to conveniently order your inspection online. How much does it cost to have someone come to my home to test it for mold? It is an older home and I just want to have it tested for peace of mind. I have loved here for 5 years and never had it tested when I moved in. The cost does vary depending on your particular situation. Feel free to give a call and we’ll be happy to discuss it with you. Plan on anywhere from $350.00 and up as a rough figure.